Singtel closed -$0.03 to $3.02, the lowest close since Jun 2012. 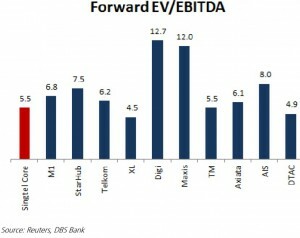 Based on Bloomberg, it is trading at approximately 5.9% estimated div yield. Ave analyst target is around $3.92. Hence total potential upside is around 35.7%. What has happened to Singtel which hit multi-year lows despite analysts’ buy calls? Is this a buying opportunity? Or is it a falling knife? 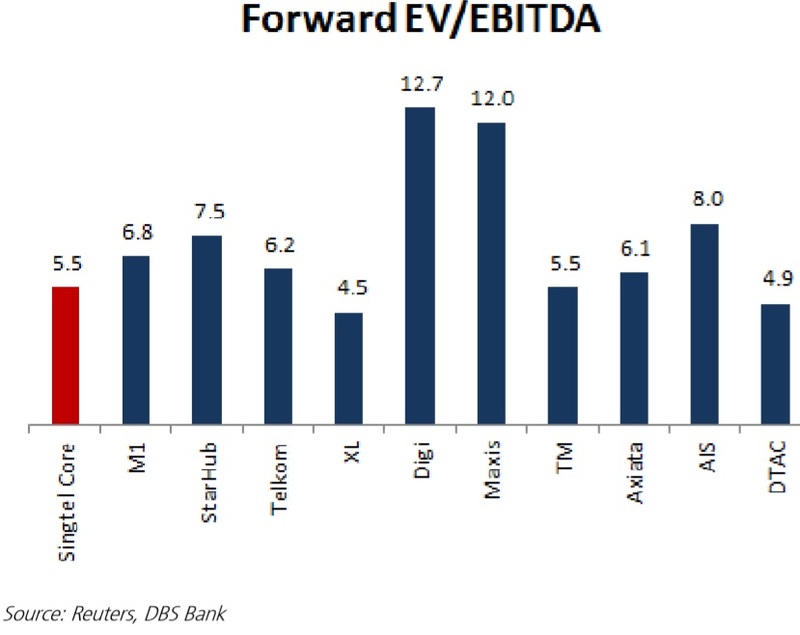 d) According to DBS Research (see Chart 1 below), Singtel trades at 5.5x forward EV / EBITDA, a discount to regional and local peers. This seems unjustified, especially when Singtel should weather the competition better than its local peers M1 and Starhub. e) Singtel may unlock value in Amobee either via IPO or strategic partnership in the next 2-3 years after it shows consistent results. 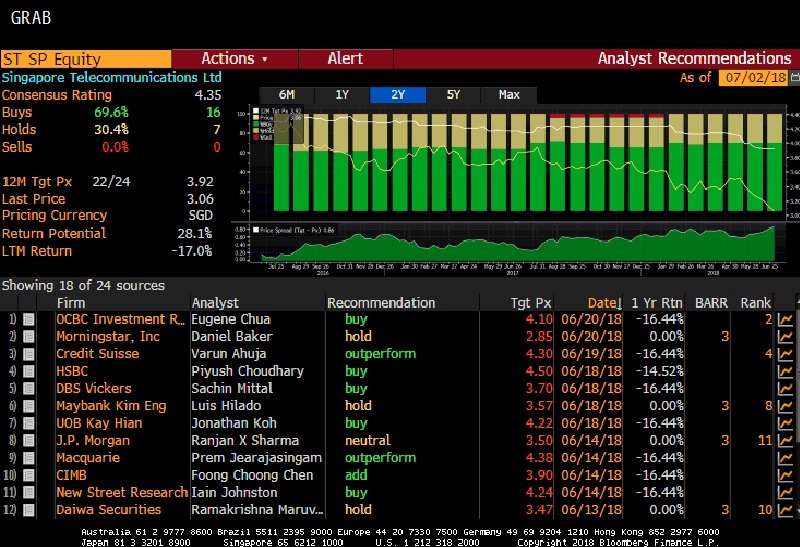 Based on Figure 1 below, notwithstanding Singtel hitting multi-year low, analysts continue to be bullish on Singtel with average target price $3.92. This represents a potential 29.8% capital upside. Coupled with 5.9% estimated dividend yield, total potential return may be 35.7%. Based on Table 1 below, if history were to be any guide, Singtel is likely to trade higher in anticipation of its upcoming dividends. Singtel is going to ex div S$0.107 on 26 Jul 2018. Based on my own compilations, Singtel may trade approximately $3.49 – 3.59 from now to one day before XD i.e. up to 25 Jul 18. I wish to emphasise that past trading results do not guarantee future performance, hence Singtel may not move higher in anticipation of its upcoming dividends. 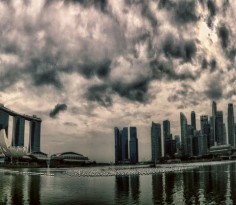 Furthermore, against the backdrop of the weak market sentiment, it is unlikely that Singtel can reach $3.49 – 3.59. However, selling pressure should ease in anticipation of its upcoming dividend. Based on Chart 2 below, Singtel is entrenched in a strong downtrend. All the exponential moving averages (“EMAs”) are trending lower with death cross formations. 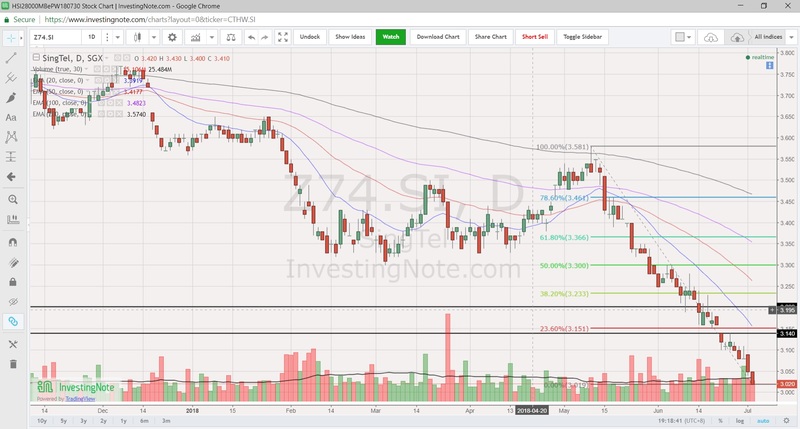 Singtel has broken the recent range 3.32 – 3.54 with a measured technical eventual target $3.10 which is already attained. In fact, the recent breach below $3.10 points to an eventual technical target of around $3.06. RSI closed 13.9 on 3 Jul 2018. This is the lowest level since 2000. ADX closed at 44.9 amid negatively placed DI. This is indicative of a strong downtrend. However, as oversold pressures build (evidenced by the all-time low RSI), there may be some technical rebound in the near term. The past two days sell-off has been accompanied with lower than average volume. Notwithstanding the above, it is noteworthy that there is no rule that RSI cannot fall below 10 or 5. P.S: I am vested in Singtel shares. 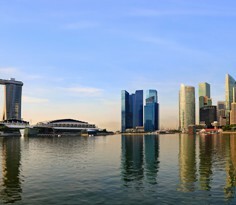 Singtel operates in a challenging industry with near-term headwinds. 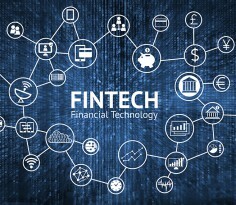 However, most analysts believe that its attractive valuations, coupled with its geographical and business diversification which may bear fruits in the next few years, make it an attractive investment to consider, especially with investors with a long-term horizon. The recent relentless selling has caused oversold pressures to spike which may in turn limit any near-term potential downside in Singtel’s share price. Notwithstanding the above, it is noteworthy that I am not extremely familiar with Singtel, nor do I have direct access to management. Readers who are interested in Singtel should view Singtel’s announcements on SGX or on their website. Furthermore, they can view the analyst reports HERE.